The all-new Honda Civic Type R will soon arrive in showrooms and we’re fairly certain it’ll be a solid seller. Why wouldn’t it be? After all, it just smashed the front-wheel-drive Nurburgring record with an official time of 7 minutes and 43.8 seconds. That’s nearly seven seconds faster than its direct predecessor. But say Honda were in a feisty mood and decided to expand the Civic Type R range further. What would that new variant be? A coupe? Sedan? 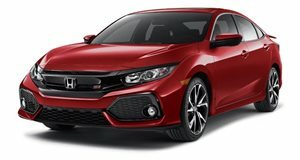 There's no need for another four door, that’s what the Civic Si is for. No, what we’d want is exactly what rendering artist X-Tomi Design has just cooked up, a Civic Type R pickup. Call it a ute, if you so prefer. In order to have the bed, the rear seats obviously have to be sacrificed, but we think it’s worth it. 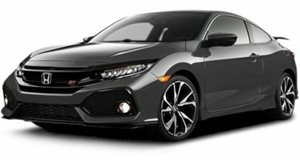 What we have no way of knowing is how the elimination of the hatch design would affect overall structural rigidity, which could very well in turn hinder performance. Then again, small pickups/utes are just wicked cool, and in this case that rigidity could be worth the sacrifice in order to have something truly unique and, dare we say, special. But sadly, this Honda Civic Type R pickup is only a pipe dream. There’s no crime in dreaming.